Home Learn What Really is Blockchain? Bitcoin and its underlying technology blockchain are game changing technologies that are reshaping and revolutionizing the world economy. Often hidden behind the headlines of Bitcoin’s meteoric rise in market value and blockchain’s technological promise is a basic understanding of what these two technologies are and where they come from. This brief article examines the digital currencies Bitcoin and Ethereum, and introduces Blockchain, the technology that facilitates the digital transfer of value and much more. In 2008, a person or group of people acting under the pseudonym, Satoshi Nakamoto, published a white paper titled Bitcoin” A Peer-to-Peer Electronic Cash System. The paper introduced a solution to two puzzling issues. The first, was our inability to transfer money digitally between willing participants without the need of a trusted third party. The second, a function needed to transfer money digitally, was the ability to establish the order of transactions to avoid double spending. 1. A peer-to-peer currency capable of maintaining its value without a central authority. 2. A decentralized digital ledger capable of establishing the order of transactions. The ledger would operate much the same as any other, except that the recorded transactions would be distributed to computers around the world. In 2009 the ability to transfer value digitally was born in what is widely known as Bitcoin. However, it is the second capacity, now known as blockchain that is proving to be of far greater significance. Although blockchain has scarcely found its way into mainstream thinking and discourse, it is as mentioned, revolutionizing the world economy. Since inception, Bitcoin has captured the attention of an ever-growing, and yet relatively small number of investors, enthusiasts, companies, and others around the globe. As it has grown it has served the dual function of acting as proof of concept for a “peer-to-peer version of electronic cash”, and simultaneously giving rise to thousands of other digital currencies. The most well known of these currencies by market value are Bitcoin and Ethereum. Bitcoin’s current market value is $37 Billion USD, while Ethereum’s is $16 Billion USD. Any attempt however to compare the two cannot be accurately described as an apples to apples comparison. More about this later. First, lets look at what Bitcoin actually is. Bitcoin is a decentralized peer to peer electronic version of cash that maintains its value without backing or inherent value. It allows the transference of money digitally without going through a trusted third party such as a bank or credit card. The first standardized value of Bitcoin was set on October 5th 2009 at $.0008, calculated using $1USD equals 1309.03 Bitcoin (BTC). It presently trades at more than $2300 USD. This represents 2.9 million x its initial value. According to the Washington Post, if you had purchased $100 in Bitcoin 7 years ago, those coins would be worth more than $73 million USD today. To put this into perspective, if you had invested $100 into Amazon.com when it went public in 1997, your investment would be worth just under $64,000. It is worth noting however, that digital currencies are significantly more speculative than stocks like Amazon. As the price of Bitcoin goes higher, one question that naturally comes to mind is where do Bitcoins come from? Where do Bitcoins come from if by definition they are not backed by any central authority? Bitcoins are actually “mined” into existence by Bitcoin miners. The easiest way to think about this is to consider gold miners. Gold miners work to mine gold from the earth. As it is mined, it then enters the economy. Conceptually, Bitcoin is the same. New Bitcoins are generated through a competitive process called mining. Miners are given Bitcoins as rewards for their services processing transactions and securing the network using highly specialized hardware. Investopedia offers a more in-depth explanation of the process of mining. After Bitcoins are mined into existence, how are they used and what are they used for? Bitcoins are traded on exchanges like stocks, bonds, and currencies, and are also used as currency in the exchange of goods and services. The number of vendors and merchants accepting Bitcoins for the exchange of goods and services is expected to grow from the 1000’s to the 100,000’s now that Japan is accepting Bitcoins as currency. Japan is the first nation to officially accept Bitcoin for payments. More than 300,000 merchants will begin accepting Bitcoin payments in that country alone. Here is a list of 100 major US based retailers currently accepting Bitcoin. Bitcoin however, is not the only digital currency growing in value and capturing global attention. Ethereum shares many of these characteristics with Bitcoin while also possessing several unique qualities. While Bitcoin was first to market and has drawn most of the media attention, many believe that the Ethereum blockchain and its currency Ether, is a much more powerful tool. The development of the protocol was crowdsold in 2014, raising over $150 million USD. The system itself was finally launched on July 30, 2015. Ethereum is an open source blockchain platform and its fundamental contention is this, that blockchains can be used for more than just the transfer of money. Additional use cases include currencies, financial instruments, property, domain names, along with more sophisticated cases like exchanges, derivatives, peer to peer gambling, and identity and reputation systems. “Smart contracts” are one of Ethereum’s most important contributions to the rapidly expanding universe of digital currencies and blockchains. They can be thought of as a digital means of facilitating the exchange of anything of value in a way that is transparent and removes middlemen such as lawyers, notaries, and others. Smart contracts perform this function by carrying out the terms of the digital contract itself. Another of Ethereum’s unique characteristics is its digital currency Ether. Ethereum, like Bitcoin is a digital currency. However, unlike Bitcoin, it is also a blockchain platform. 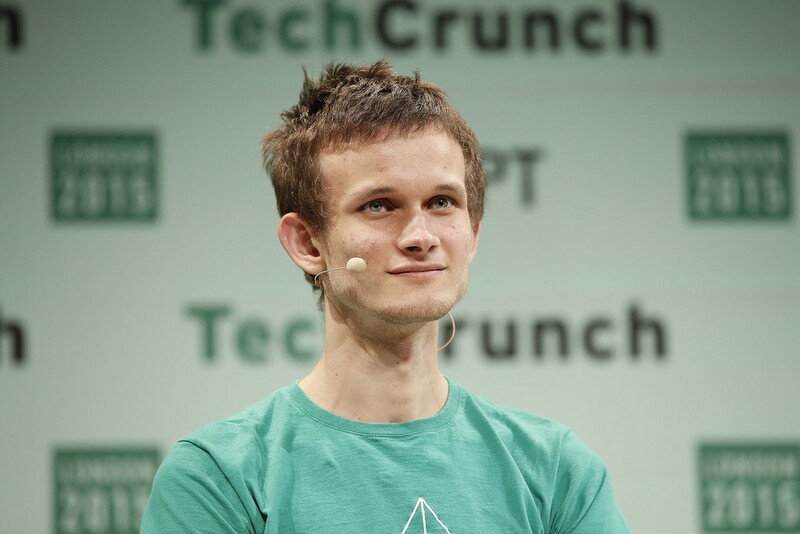 Ethereum’s currency, Ether is used primarily to access the Ethereum network. The Ethereum Foundation defines Ether as a fuel or a form of payment that is used by clients of the Ethereum platform to pay for the machines that are executing the requested operations. Unlike Bitcoin, Ethereum has two digital currencies trading in the market. The first is Ethereum which trades under the symbol — ETH. While the other, known as Ether Classic, trades under the symbol ETC. In June 2016 a large scandal rocked the Ethereum community. A still unknown hacker attempted to steal more than $50 million dollars due to a software bug. The end result was the creation of a second Ether trading currency. If it is of greater interest here are two articles that explain the hack in more detail Article 1 & Article 2. For a more technical explanation read this article by Maria Paola Gelvez Gomez, former head of Coinbase in Latin America. Similar to Bitcoin, Ethereum is also mined. Groups of “miners” work to validate and store the transactions taking place on the Ethereum platform. The Huffington Post presented a clear and coherent article on Ethereum mining. While Bitcoin and other digital currencies can be used to purchase goods and services, as mentioned, Ether is primarily used for transactions associated with accessing the Ethereum network and trading. What is most important to remember about Ethereum is that it is not only a digital currency, it is also blockchain based platform with smart contracts, and it allows for the building of apps, of which digital currencies are but one expression. Nakamoto Satoshi’s initial description of the framework needed to facilitate the movement of online payments between two willing participants without an intermediary has become known as blockchain. In its most simple form blockchain is a decentralized ledger. The implications of blockchain however, are far greater than the simplicity its name implies. Blockchain facilitates the digital transference of value itself. Sally Rivers, Financial Times technology writer describes the relationship between blockchain and digital currencies like Bitcoin. In the same way the internet facilitates the digital transfer of information, Blockchain facilitates the digital transfer of value. Industries in which blockchain technology is being rapidly explored and deployed include the capital markets, financial services, payments and remittances, derivatives, identity and reputation management, governance, sharing economy, supply chain, auditing, stock trading, internet of things, insurance, healthcare, and others. Digital currencies and Blockchain technology are truly reshaping the world economy. We may however, be too close to their inception to accurately assess their importance or ultimate impact. Bitcoin was founded in 2008 and launched in 2009. Bringing with it digital currencies and the underlying technology, blockchain. There are 1000’s of new digital currencies of which Bitcoin ($30bil) and Ethereum ($16bil) are the largest in terms of market value. These currencies are created through a process of digital mining akin to mining for gold. Many of these currencies are traded on exchanges like stocks, and used for the purchase of good and services. Ethereum recognized blockchains can be used for more than digital currencies, and introduced smart contracts. Blockchain is to Bitcoin, as the internet is to email. One of the best and most insightful presentations on Blockchain is a 30 minute video created by Farzam Ehsani, Blockchain Lead at the Rand Merchant Bank in South Africa. I highly recommend it to everyone. It is indeed true. We are on a new digital journey, and no — there is no turning back! Next articleWhat Really is Cryptocurrency?